Japanese tech unicorn has landed in Europe and is organizing the biggest Sharing Economy hackathon - #MercariEuroHack! Join us on Oct 20-21, 2018 in Warsaw and implement the future of sharing economy. Sign up today - http://bit.ly/JoinMercariHack, to win awesome cash prizes including an all expenses paid trip to Japan! 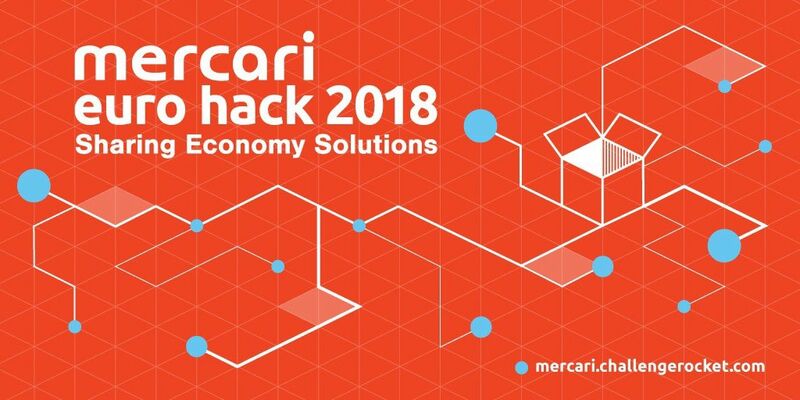 Mercari Euro Hack 2018 involves 2 phases: the online code challenge (60 min), followed by the 24h onsite Hackathon in Warsaw, Poland from 20-21 October for the shortlisted participants (travel and accommodation covered by the organizers). About Mercari: Mercari is an e-commerce company founded in February 2013 and currently operating in Japan, the United States, and the United Kingdom. Main product, the "Mercari" marketplace app, was first launched in Japan in July 2013, and has since grown to become the country's largest community-powered marketplace with over JPY 10 billion in transactions carried out on the platform each month. Mercari has been downloaded more than 100 million times worldwide and has 10.5 million active users in Japan.